MetroBoost provides calibration wafers and software products for overlay and critical dimension metrology in semiconductor manufacturing. 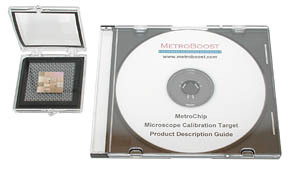 MetroCal, MetroChip, and Overlay Booster are MetroBoost's flagship products. Overlay Booster is a Windows-based software package featuring analysis models for ASML, Canon, Nikon and other exposure tools. The real-time license for unattended operation with IVS metrology tools is available from MetroBoost and also several IVS tool suppliers. MetroBoost also offers Overlay Booster as an off-line software package for data review and engineering analysis. 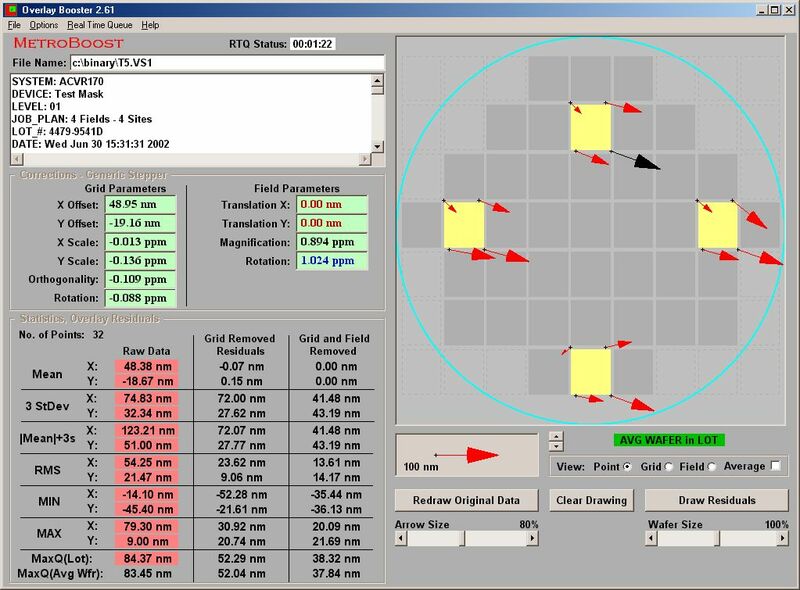 Overlay Booster can import data files from several different metrology tools including overlay data files created by Applied Materials CD-SEM systems. As an optional feature, the product provides the capability to analyze the difference between two data files. Applications include stepper matching, etch-to-photo bias analysis for predictive lot disposition, indirect overlay to a third layer, and review of wafer-to-wafer variations in a lot. MetroChip is a 20 mm by 20 mm die from 200 mm MetroCal wafers. Applications include calibration of field of view (2D) and magnification (1D) in optical microscopes, scanning electron microscopes, atomic force microscopes and similar tools. This product is shipped with documentation as shown. MetroChip is available from Ted Pella, Inc., the leading provider of microscopy supplies. Please visit Ted Pella web page for more details such as information about NIST traceability.